Young man choosing between Disneyland vs. Disney World. Hawaii is one of the premier vacation destinations in the world. So where should people from Hawaii go for vacation when they already live in paradise? For Hawaii residents, it might be time to board a plane for fantastic family vacation at a Disney resort. But which one? Disneyland vs. Disney World, an inevitable debate arises when one has to choose between the two. We offer brief descriptions on the California and Florida parks, along with analysis to help you decide. In the heart of Southern California, you can find Walt Disney’s original theme park in balmy Anaheim. Disney now calls Disneyland the Disneyland Park. Together with the Disney California Adventure, the two comprise what Disney now calls the Disneyland Resort. The parks are just over 30 minutes away from Downtown Los Angeles. And they are less than an hour away from the original Walt Disney Studios in Burbank. Disney California Adventure is directly across a plaza from the Disneyland Park. Both parks are a short trek from the very pleasant and lively Downtown Disney. The Disneyland Resort covers only 300 acres. But it still manages to feel like a dreamy escape into imagination. Here are some of the rides you can enjoy at the Disneyland Park. Here, you can join the Pirates of the Caribbean as they plunder for riches and treasure. Or trek through thick jungles with Indiana Jones in Adventureland. You can enjoy walking through Sleeping Beauty’s iconic castle or floating over London with Peter Pan in Fantasyland. Roller coaster fans won’t want to miss adventures in Tomorrowland zipping on through Space Mountain. They can speed through canyons tunnels on Big Thunder Mountain Railroad in Frontierland. Or they can even careen down a waterfall with Brier Rabbit on Splash Mountain. There is nothing better than strolling through Main Street for a peek back to the 1920’s. Here, you can enjoy an ice cream sundae while watching famous characters parade by. Plus, the Disneyland Park will be the new home of the Star Wars: Galaxy’s Edge land. This new land will come with two new exciting rides and will open sometime in 2019. At Disney California Adventure, you can speed through the desert on the Radiator Springs Racers ride in Cars Land. Or you can tour through the Little Mermaid’s grotto at Ariel’s Undersea Adventure. For those seeking a thrill, California Screamin’ is a roller coaster that will take your breath away. While Soarin’ Around the World is a recently upgraded virtual flight over major landmarks on Earth. Here, an exciting brand new Marvel ride, Guardians of the Galaxy: Mission Breakout, has just replaced the Tower of Terror. Walt Disney World is the perfect vacation for those seeking adventure and an extraordinary holiday. The resort spans over 42,000 acres of excitement and fun. There are four parks here: The Magic Kingdom, EPCOT, Disney’s Hollywood Studios and Animal Kingdom. There are also two water parks: Disney’s Typhoon Lagoon and Blizzard Beach. The resort also features a bustling and massive Disney Springs shopping and restaurant complex and 5 golf courses. The enormous size and scope of the Florida complex often plays a big factor in considering between Disneyland vs. Disney World. You can find classic Disney rides here like the Jungle Cruise, Pirates of the Caribbean and the Tomorrowland Speedway. You can even find rides no longer at Disneyland like the Carousel of Progress and the People Mover. While the Haunted Mansion is a spooky 18th century journey with nearly a 1,000 ghosts. For those wanting to experience a virtual journey to Mars, don’t miss the thrill ride, Mission: SPACE. Fans of the movie Frozen can relive scenes by taking the new Frozen Ever After ride at the Norway pavilion. Speed demons can even test their driving skills on the General Motors Test Track. The Spaceship Earth ride into the iconic symbol of EPCOT is always a classic must-do. The Rock ‘n’ Roller Coaster ride features speedy accelerations with Aerosmith’s music playing in the background. The Twilight Zone’s Tower of Terror is a heart-stopping free-fall down and up on an elevator. The park is now undergoing a major expansion and is now in the process of adding new rides at their new lands, Star Wars: Galaxy’s Edge and Toy Story. So withing the next few years, this park may be the hottest place to go to in Walt Disney World. At Animal Kingdom, visitors can tour through the rain forest on the Kali River Rapids ride. Or they can take a journey on the wild-life filled Kilimanjaro Safaris. World travelers will love the Expedition Everest roller coaster which takes riders through the Himalayas. And now, at the new World of Avatar land, you can hop on Flight of Passage, which many say just might be one of the most exciting rides ever. Attractions at Disney World include the dazzling Festival of Fantasy parade show performed daily at The Magic Kingdom. There’s also the ever popular IllumiNations: Reflections of Earth fireworks spectacle at EPCOT. This might be the best fireworks show at any Disney park. So we recommend you get a Fast Pass reservation to get the best viewing spots. If you have a little girl in your group, the Cinderella’s Castle at The Magic Kingdom would be her quintessential princess land. There great water park rides here. The epic Crush ‘n Gusher launches riders through powerful water jets in Typhoon Lagoon. Summit Plummet at the Blizzard Beach will delight anyone willing to splash down 120 feet at up to 60 mph. With numerous performances, shops, rides and restaurants, Disney World offers remarkable entertainment for every individual. Disney Springs is Walt Disney World’s massive and ever expanding shopping, dining and entertainment complex. For the most part, Disney Springs sells the same products you can get inside the parks. As a result, we recommend you buy your omiyage here. This is because you then won’t have to buy them at the parks and lug around. Also, Disney Spring is a great place to start or end your journey into Walt Disney World. This would be especially true during times when you can’t or don’t want use your park passes. Disneyland is a convenient 5-hour flight away from Hawaii. Disneyland Resort is also the ideal location for those interested in film history as Hollywood is close by. Here a quick car ride allows you to tour studios where your favorite movies were made. Close to Disneyland is Knott’s Berry Farm. Universal Studios is about 45 minutes away by car. While Sea World and Legoland near San Diego is about an hour away. Walt Disney created Disneyland in 1955. As a result, it has a more historic appeal than Disney World. There is a magic in the air on streets that Walt Disney used to stroll on. Disney World was created after Walt Disney’s death in 1966. So some argue it does not have the same personal touch that Walt Disney brought to Disneyland. It’s always a key factor in deciding between Disneyland vs. Disney World. Disneyland has classic rides like the whimsical Storybook Boat Ride, Mr. Toad’s Wild Ride and the landmark Matterhorn. These attractions are unique to Disneyland and you won’t find them at Disney World. While much smaller than its counterpart in Orlando, you can actually enter Sleeping Beauty Castle. Here, you can view and read the story of Sleeping Beauty contained in a number of dioramas. But in Disney World, there is actually an exclusive hotel room suite inside Cinderella Castle. The weather in California’s west coast is consistent, usually being temperate and sunny. For those not accustomed Florida’s searing summer humidity in Disney World, standing in line at Disneyland in California is less tedious due to the drier climate. It can get a little cooler in the winters in Southern California than what people from Hawaii are used to. So you might want to bring a light jacket along with you during this time. In considering between Disneyland vs. Disney World, many may argue that Disneyland is either “too small” or “cramped.” But others may feel that the Disneyland Resort parks are a lot more accessible than the parks in Disney World. This personal preference will differ for each visitor, but is worth considering. The size and scope of the parks in Florida is a factor in choosing between Disneyland vs. Disney World. While the distance from Hawaii to Florida is longer, the extended travel may be worth the trip. Hawaii vacationers should factor a full day of travel for the journey. You could even be overwhelmed by the sheer size and magnitude of vacation options at Disney World. Here, Disney owns a large area full of parks, shops, hotels and other attractions blocked off from everything else. 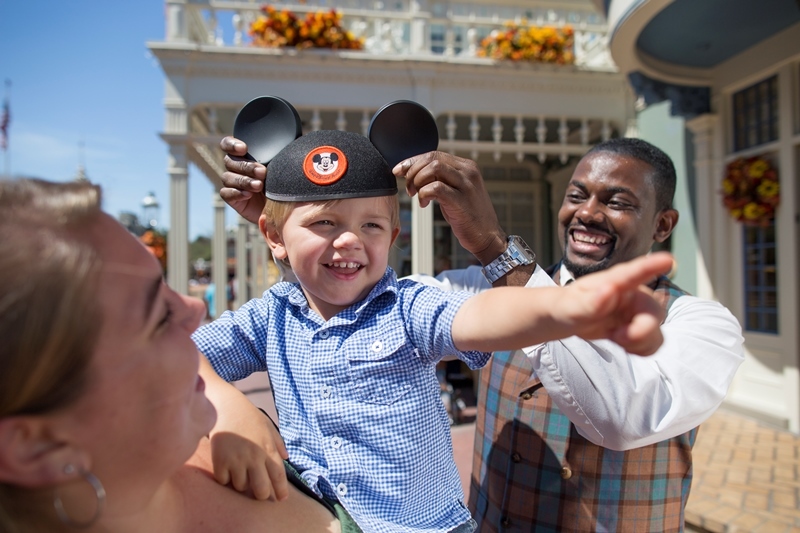 As a result, visitors can be fully immersed in the Disney magic. The time and effort it takes to travel to Florida from Hawaii is a key factor in choosing between Disneyland vs. Disney World. Disney World is not actually in the town of Orlando. It’s actually in Lake Buena Vista. Not staying at a Disney World hotel property, but want to stay as close to Disney World as possible? If so, we suggest you stay at the many hotels in the Lake Buena Vista area. Plus, you’ll find that the hotels here are generally less expensive than the ones within the resort. With four parks, there is no limit to what you can do and memories you can make in Disney World. Because of this, we recommend you buy the Park Hopper pass option. This enables you to visit anyone of the four parks at any time of any given day. By doing so, you can spend the day at the Magic Kingdom. But on the same day, you can visit the spectacular IllumiNations fireworks and light show at EPCOT. It also gives you some flexibility to navigate among parks, depending among crowd levels. This can be especially useful during the busy season. Orlando is the Theme Park Capital of the World. Other nearby parks include: Sea World Orlando and the Universal Resort. These two theme parks are quite different from their California counterparts. An easy one hour drive east are the Jungle Adventures Animal Park, home to the largest alligator in the world, and the Kennedy Space Center. Here, among many other exhibits, you can see the memorial of the tragic Space Shuttle Challenger flight. It pays tribute to its fallen and heroic astronauts, including Hawaii’s own, Ellison Onizuka. To the west, you can find Legoland in Winter Haven and Bush Gardens near Tampa. Orlando is full of enticing attractions. It’s a perfect location for families and friends seeking adventure and unforgettable fun. Because of abundance of theme parks and attractions, we suggest you plan on staying at least 7 days. This helps to make your investment of a nearly 5,000 mile flight from the Aloha State worthwhile. Due to Disney World’s immensity, you will need to factor in enough time to get to the parks. Many hotels outside the complex’s boundaries will claim they are just 10 to 15 minutes from Disney World. Often when they say this, they are referring to driving times to the outer gates of the Disney World property, not to the parks themselves. Plus, the 4 theme parks are well spaced apart. So you’ll have to plan at least a half an hour to get from one park to another. Plus, if you drive to the parks by car, you will have to find parking at each park and then catch a tram to the respective park entry gate. This process generally takes at least 30 minutes, perhaps more, depending on how busy the parks are. The one saving grace is that you can travel from the Magic Kingdom to Epcot by monorail, which saves time. To make the optimal use of your limited time, factor in how long it takes to get to each park’s parking lot and then get to and past its gates. When you visit the Magic Kingdom by car, unless you are staying at a Disney hotel property, you will first have to go the Transportation Center parking lot. Then catch a tram to the Transportation Center. Then from there, either catch the ferry or board the monorail to the Magic Kingdom. So this entire process, in and of itself, from leaving your hotel to arriving at the gates of Magic Kingdom could take over an hour, depending upon crowd levels. Most of Florida, including the Orlando area, often has severe thunderstorms almost every afternoon in the summers. Plus, the weather during this time is even more humid than what people from Hawaii are accustomed to. If you think Hawaii rains a lot, you’ll be in for a real surprise when you see the daily afternoon summer thunderstorm activity in Florida. As an example, the park rides in Central Florida are often closed due to dangerous lightning activity. As a result, we recommend each member of your party carry a small collapsible umbrella when visiting Disney World. Using those plastic ponchos you buy at the park or at convenience stores will not keep you dry from the rain as well as an umbrella. We also suggest you bring a small knapsack with you. So you can conveniently store your umbrellas, as well as anything else that you buy, while you stroll around the parks. Trust us; you won’t ever regret doing this. In the winters, it can get down to the low 40’s or even high 30’s (Fahrenheit). So people from Hawaii especially need to be aware of this and dress accordingly. Unlike in California, Hawaii people will not typically find the same kind of food that they are accustomed to in Central Florida. So if you still need a Hawaii food fix, we suggest you try the Japanese restaurants at the Japan pavilion at the World Showcase in EPCOT. Here you can find bentos and plate lunch type fare, complete with the kind of sticky rice that we are all used to. EPCOT is an acronym for Experimental Prototype Community of Tomorrow. Disney is essentially its own local government in the area that contains Disney World. Its fire department, development control and other local support services are provided and managed through an entity called the Reedy Creek Improvement District. We’re not sure if it’s still there anymore. But one of the dioramas in Spaceship Earth ride in EPCOT featured a miniature of a person wearing a Reyn’s classic nene goose aloha shirt. Let us know if you still see it. The two North American locations of the Disney theme parks vary greatly from each other. 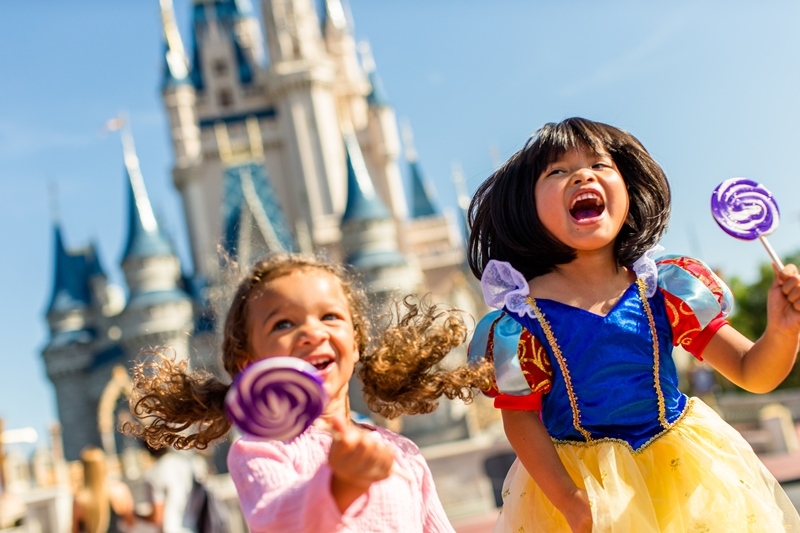 Between the two locations, we feel Disney World offers the more comprehensive Disney vacation experience. So if you can afford the time for a longer journey, you will not regret exploring Disney World. For those wanting to stay closer and enjoy a more historic Disney experience, then Disneyland is for you. But in deciding between Disneyland vs. Disney World, magic is magic, regardless where you go.